Contrary to some belief, we have never found a walking belt that has stretched out unless it is accompanied by the seam on the belt separating. If you have made recent adjustments, lubricated, or had repairs, a belt can slip if not tightened. The belt can slip if you have too much friction or if the belt has been recently lubricated. Attempt to lubricate by using our World Famous Treadmill Lube or another lube compatible with your treadmill. If lube does not help your problem and you have exhausted all other possibilities, the walking belt is most likely worn out and must be replaced. To adjust the belt, follow the instructions on our web site at the following link. An overtightened walking belt can raise the amp draw of your treadmill, contribute to seam separation on the walking belt, or both, so do not overtighten the drive belt. As a general rule, you should be able to lift the belt in the center on the side by approximately 2" to 3". As a general rule, if you cannot lift it by 2" to 3", the belt is too tight. All drive belts tend to wear with age and will wear more quickly if not aligned properly. Tightening the drive belt according to the directions in your owner's manual may prevent slippage but we don't recommend it since it is easy to overtighten and this can damage expensive drive system parts- you are much better off replacing the drive belt. Some models are designed with a misaligned drive belt so the treadmill can use the side load of the drive belt to reduce operating tension. These will always wear out quickly. Treating the drive belt with belt dressing, which can be found on our site, will help the drive belt if slipping and will help prevent cracking and splitting of the drive belt. If slipping of the drive belt persists after following these steps, the drive belt must be replaced We sell most styles of drive belts. The information printed on the drive belt will usually be all we need to provide a quote. An overtightened drive belt can raise the amp draw of your treadmill, contribute to bearing failure in the motor or rollers, or both, so do not overtighten the drive belt. With the treadmill off, put a small piece of colored tape on an area of the pulley that you can see and put a corresponding piece on the roller tube. You can also use a colored, permanent marker like a Sharpie and draw a line from the pulley to the metal roller tube. 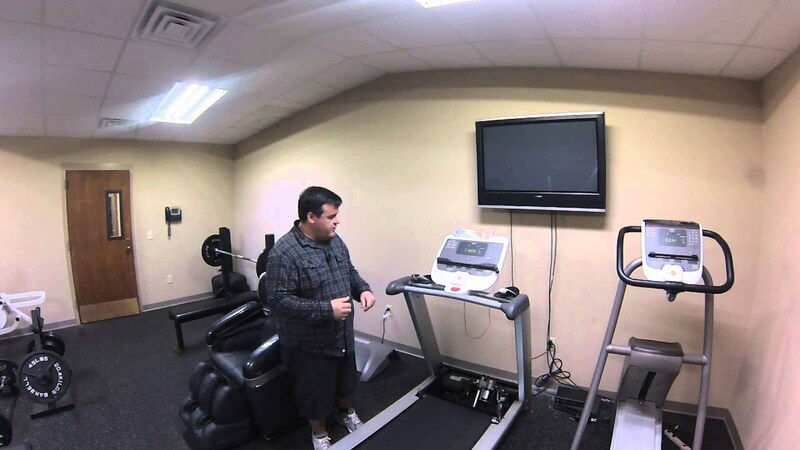 Turn the treadmill on and while being careful, test to see what happens when the belt slips. If the drive belt and pulley continue to turn and the walking belt and front roller stop, the pulley has lost its grip on the front roller. If you couldn't see the pulley slip, compare the tape or the line. If the portions of the tape or colored line are still aligned, the pulley did not slip. Misalignment of the line or tape shows that the pulley and roller tube are not turning together and a failure of the pulley mount. This can be repaired or you can replace the roller. To repair, click on the following link and visit the help topic labeled How to Re-fasten a Roller Pulley. On DP, Roadmaster, and Vitamaster treadmills, we will need a physical measurement of the roller. On all other makes and models, please provide us with the manufacturer and model number for a quote. If you have any questions or need us to walk you through the process, feel free to email us at doc@treadmilldoctor.com or call us at 888-750-4766.